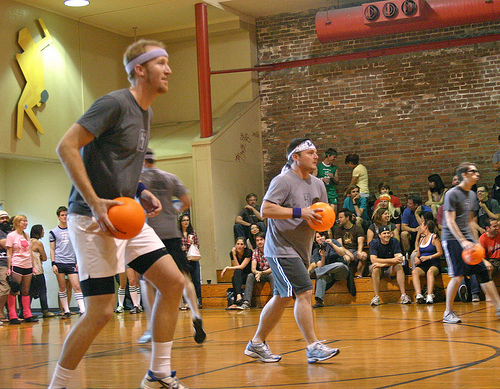 So our good friends at GitHub put together the First Annual Dodgeball Invitational with the intention of pummeling various Bay Area tech companies into submission. 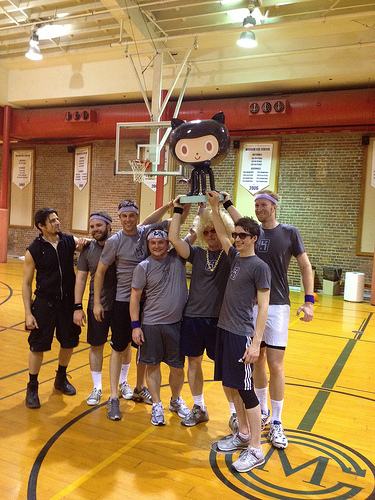 Heroku has never shied away from a challenge, especially when there is a giant Octocat trophy at stake. 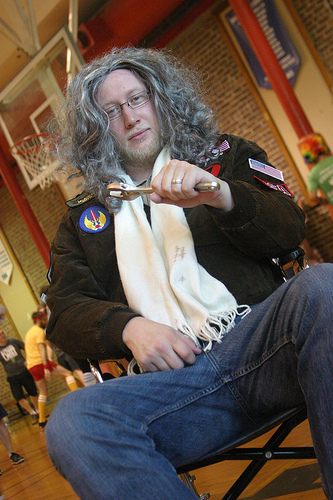 The Dodging Samurai emerged victorious despite facing a pool of 21 teams and one crotchety old man wielding a wrench. 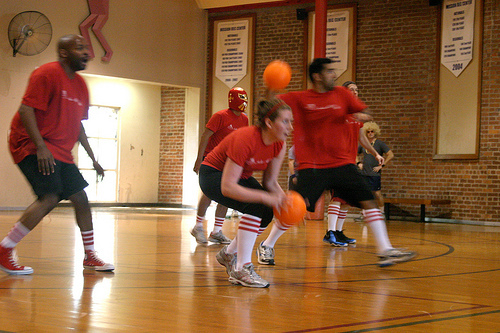 Through brute force, covert strategies and pink tutus, the Herokai were able to persevere through two teams from both GitHub and Engine Yard, a solid team from Code for America, as well a mysterious unnamed lucha libre fighter from Twilio. We commend both the spirit and the dodginess of all our competition and look forward to next year's event. What's the best part? The bulk of the entry fees will now go to our charity of choice, Heifer International. $28,500 will now be donated to empower families around the world to become self-reliant through sustainable development projects. The Octocat trophy has found a lovely home at our lunch table. We weren't sure if he was actually a cat in an octopus costume or a fully different species, but we bought catnip and various toys for him anyway. 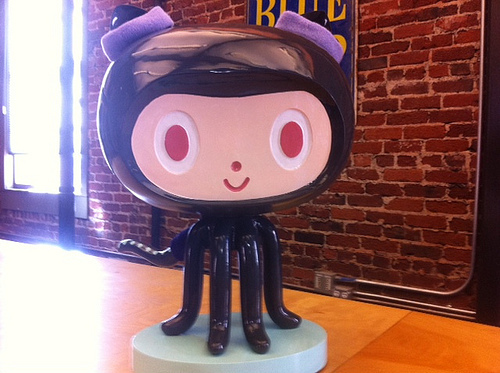 Check out this Quora thread about the Octocat's proud lineage.